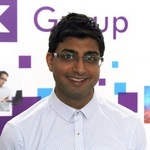 Naynesh Mistry is recruiting for an Analytical Scientist to join a leading consumer health business. This role is based in Hull, on a permanent basis and offers a competitive salary and excellent benefits. My client are looking for a motivated and driven individual to be part of a fast and dynamic team where you will be responsible for managing all the analytical aspects of assigned existing and New Product Development (NPD) projects. Technical skills in analytical techniques: HPLC, GC, FTIR and method development knowledge is essential for this role. Support NPD projects from the development pipeline. Write technical reports and regulatory dossiers. Line management responsibilities and training members of the team where appropriate. Degree in chemistry or analytical chemistry or a relevant scientific discipline. Proven experience within an R&D healthcare / pharmaceutical environment. Good knowledge (theoretical and practical) of analytical techniques including HPLC, GC, KF, titration and spectroscopic techniques (UV and IR). Regulatory knowledge and experience of Module 3 is required. If you do not hear back from us within 5 working days of your application for this role, it means that on this occasion you have not been shortlisted for the next stage of the recruitment campaign. Entitlement to work in the EEA is essential. Please quote reference 45272 in all correspondence.